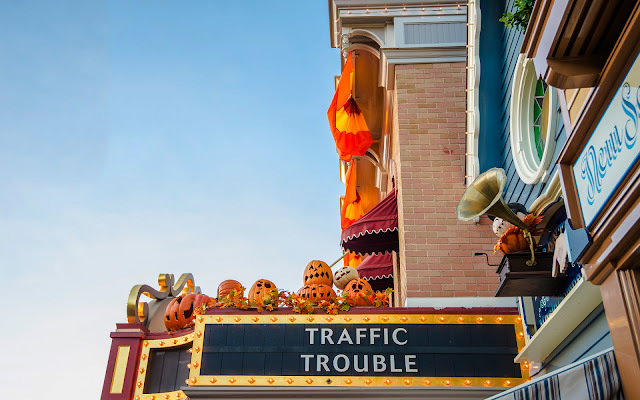 As I've mentioned countless times before, Halloween on Main Street is a most charming affair. 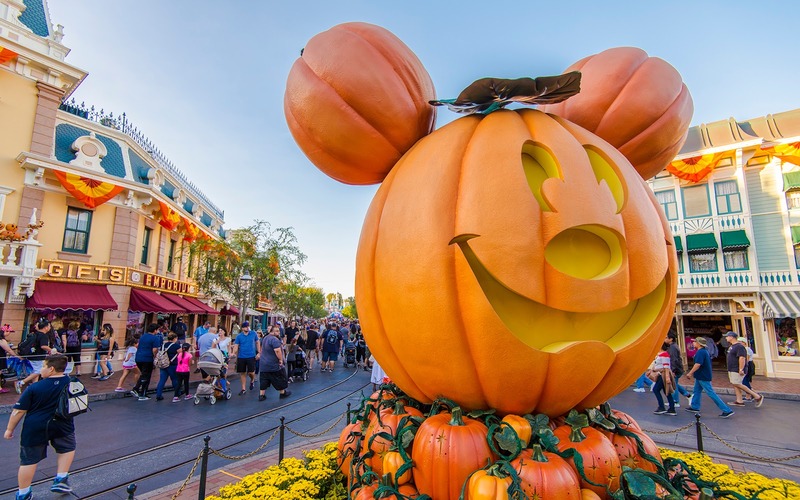 The pumpkins and jack-o-lanterns, the warm bunting... they all recall the nostalgic autumn holidays of yesteryear. Here's another set of photos of the scene. 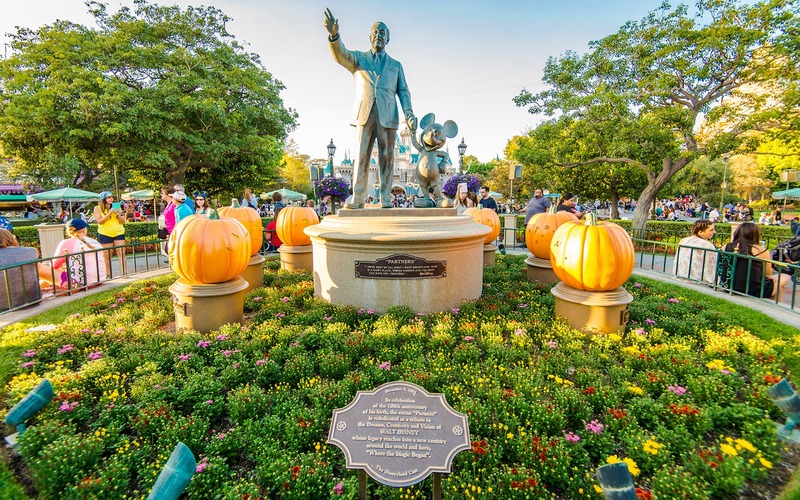 The Partners Statue in The Hub is surrounded by jack-o-lanterns. The side marquee of the Main Street Cinema. 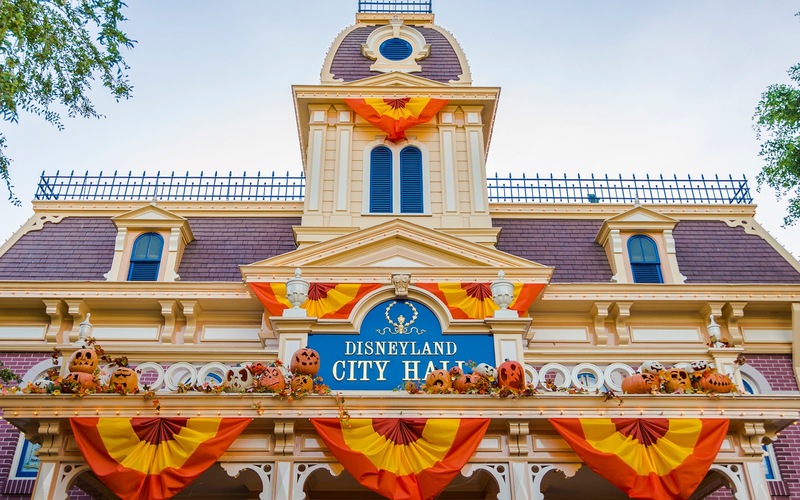 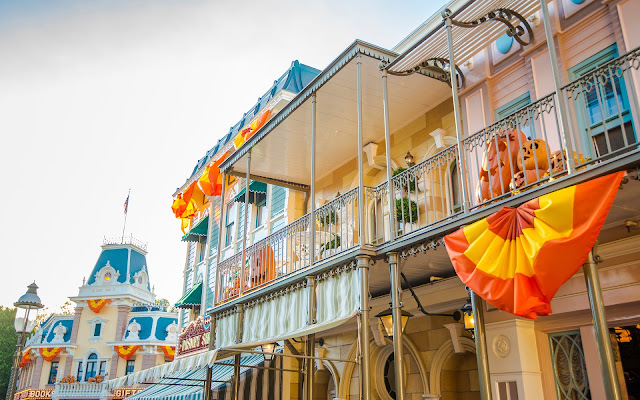 Balconies on Main Street are laden with Halloween flavor. 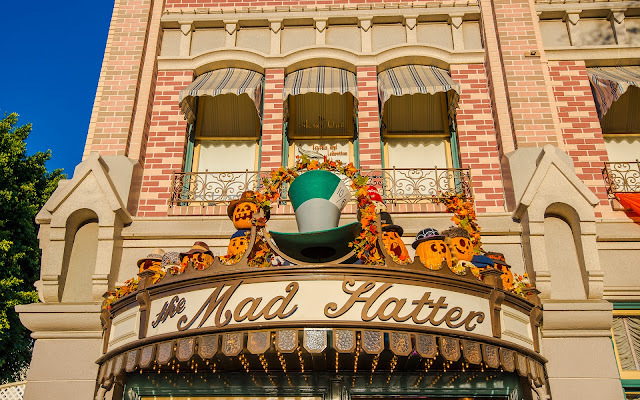 The Mad Hatter's pumpkins adorably have hats themselves. City Hall in fall fixings. The ever familiar Mickey Head pumpkin.